The Oxford Gargoyles is a mixed-voice jazz a cappella group from Oxford University, England. The group's repertoire is rooted in the jazz songbook but also extends to pop, soul, Latin and gospel numbers. on 9th March at the Cotai Arena. Here is the U-tube. A most enjoyable concert enjoyed by the youngest age present 4 years old to 75 years old. A lot of people stayed on for dinner and left after midnight. Celebrated Acclaimed Artists (Alumni of Juilliard School and Peabody Conservatory of John Hopkins respectively. They have played at world class concert halls namely The Carnegie Hall, Suntory Hall, Alice Tully Hall, Avery Fisher Hall, Hong Kong Cultural Centre). We are proud to present A Salon Concert Series where guests can come and sit in a soft upholstered chair, a glass of wine in hand, young talents and world-class chamber musicians just feet away engaged in rich array of musical conversation before you. If you love music, nothing comes close to the rapture of listening to Albert and Akane who have performed in world class concert halls. They will play for us on Valentine's Day at the privacy and comfort of a beautiful club, the way chamber music was meant to be heard. In our new Salon Concert Series, young talents along with international concert soloists will perform fine works of chamber music in the intimacy of the lovely Hong Kong Club. Please show receipt to email below. John williams, Theme from "Schindler's List"
Pianist, Akane Kubota, a native of Tokyo-Japan, has performed extensively in her native country and at venues all over the world. In 2008, she performed at Suntory hall in Tokyo, Japan, and received an award presented by Tokyo International Associations of Artists. The following year, Miss. Kubota made her solo piano debut recital at the Carnegie Weill Recital Hall in New York as a special presentation prize winner of the Artists International Competition. She has appeared as a soloist and chamber musician at the Burgos International Music Festival (Spain). In 2006, she was featured at the Bowdoin International Music Festival as a scholarship student; the same year, she was selected as a semi-finalist in the 6th Sakai International Piano Competition (Osaka, Japan). She has also been involved as a pianist in theatrical productions, under the auspices of New York's Symphony Space (in the opera "Jefferson and Poe") and the Baltimore Theatre Project. She has been achieving critical acclaim in master classes with world-renowned pianists such as Malcolm Bilson, Eteri Andjaparidze, Frank Levy, and coached by Leon Fleisher and Jonathan Feldman from the Juilliard School. In addition to a busy performance career, Miss Kubota is also in high demand as a teacher. She was a visiting faculty at International Performing Arts Summer Festival “Belvoir Terrace” (Massachusetts, USA) in 2010. She also served as an adjunct piano faculty teaching both private and group lessons at New York University. Recently, she received The Best Piano Teacher Award by Eleanor Wong in All Hong Kong Youth Piano Competition and has been receiving Teaching Excellence Award by Hong Kong Cultural Association in consecutive 2 years. Many of her students received the first prize in the Hong Kong School Music Festival. She holds B.M from Peabody Conservatory of John Hopkins University and M.M. from New York University where she worked with world renowned pianist and teacher, Yong-Hi Moon and Miyoko Lotto. "...he played with superb technical competence but, more importantly, managed to convey a sense of rediscovery, as though he and his audience were hearing the music for the first time." Principal Clarinet of the Hong Kong Philharmonic Orchestra, Andrew Simon is acclaimed for his brilliant musicianship and "almost god-like technique" (Auditorium Magazine). Invited by Maestro MIchael Tilson Thomas to participate in a New World Symphony esteemed alumni concert in May, Andrew also performed as chamber musician, recitalist, and lecturer in Italy, Scandinavia, the Czech Republic and throughout the US in 2012. The first American-born artist ever to perform in North Korea (1992), Mr. Simon is an active international soloist. He has given more than 60 solo performances with the Hong Kong Philharmonic Orchestra, including John Corigliano's Clarinet Concerto, which he studied with the cademy Award winning composer; and GMN’s recording of Baermann’s Adagio conducted by David Atherton. Having toured 23 cities in Japan as soloist, Andrew has also appeared as concerto soloist with the Singapore Symphony, performing Mozart's Clarinet Concerto on the basset clarinet. He has performed with conductor Marin Alsop, with whom he made his Australian concerto debut in 2000, giving the Australian premiere of the original version of Aaron Copland's Clarinet Concerto. Recording projects include his solo CD “HOT” (Musicians Showcase), as well as an upcoming recital CD for Naxos. RSVP : Christine 9464 1941 Christine@christinenconcerts.com. Born in Moscow, Russia, critically acclaimed violinist Igor Yuzefovich was recently appointed Concertmaster of the Hong Kong Philharmonic Orchestra, having previously served as the Assistant Concertmaster of the Baltimore Symphony and Concertmaster of the Lancaster Symphony Orchestras. Mr. Yuzefovich began his violin studies at the age of 5, and was soon accepted into the Gnessin Music School where he studied with Irina Svetlova. Since 1991, Mr. Yuzefovich has resided in the United States, and continued his studies with Jody Gatwood, Leri Slutsky and Victor Danchenko, earning degrees from the Peabody Conservatory of Music. A winner of numerous competitions, Mr. Yuzefovich has performed in countries across the globe. His concerts have taken him from Carnegie Hall in New York to the Cairo Opera House in Egypt to the concert halls of the Far East and the Southern Hemisphere. As an active chamber musician, Igor Yuzefovich co-founded the Monument Piano Trio in 2004, which debuted to critical acclaim in Baltimore, Maryland and has since captivated audiences across the United States. In November of 2011 the Trio released their debut recording, featuring trios by Brahms, Shostakovich and Schoenfield. In addition to a busy schedule with the HKPO and the Trio, Mr. Yuzefovich leads numerous master classes and is in high demand as guest concertmaster. 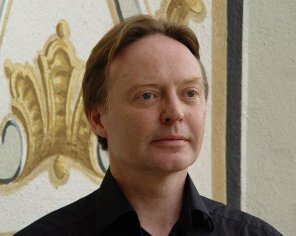 Richard Bamping has held the title of Principal Cellist of the Hong Kong Philharmonic Orchestra since 1993. His many solo appearances with the Philharmonic have been greeted with critical acclaim. He has had a very broad musical education studying cello with Elizabeth Wilson, Raphael Wallfisch, Amedeo Baldovino, Ralph Kirschbaum, Paul Tortelier, David Geringas, Aldo Parisot, Janos Starker, Timothy Hugh and Steven Isserlis. In the field of chamber music, he has studied with the Amadeus, Alban Berg, Delme, Takacs and Allegri String Quartets, and with David Takeno, Eli Goren, Emmanuel Hurwitz, Gyorgy Kurtag, and Peter Norris. As a freelance cellist based in London, Richard Bamping played in many chamber music ensembles performing across the United Kingdom, Europe and the U.S.A. He has also performed with many of the leading orchestras in Europe including the Philharmonia, the Royal Philharmonic and the European Community Chamber Orchestras, and served for four years as Principal 'Cellist with the London Soloists' Chamber Orchestra. In 1990, Leonard Bernstein chose Richard Bamping to play Principal Cello for the first Pacific Music Festival in Japan, where he also worked closely with Michael Tilson Thomas and Marin Alsop. Over the past three years, Richard has completed several tours of China, and Taiwan under the baton of the composer Tan Dun performing his “Map” concerto and the “Crouching Tiger” concerto to great critical acclaim. Richard's ‘cello, dated 1674, was made in Cremona by Andrea Guarneri and is one of only 8 surviving examples of. BOAT, from Pier 9 at 5:15pm to Stanley for the concert and return to Central at about 10:30pm. Ms Sofya Gulyak performed in a concert and master class at ISF Academy . Nanako Ono’s mother, Rinase, who is a Koto Grand Master of Yamada family and has been performing Koto publicly all over Japan, as well as been giving lessons to many students for the past 35 years. She taught Nanako Koto from 3 years of age. Nanako moved to Hong Kong 5 years ago and has continued her koto studies here in Hong Kong with grand master Mie Imatake. She has previously performed at overseas music festivals in Tokyo, the USA and Hong Kong. Lee Ka Pui Etta holds her Bachelor Degree of Arts (Music) (Hons.) from The Chinese University of Hong Kong. Lee is the scholarship recipient of the CUHK Honours Certificate (2003-2004), the Chung Chi College Scholarship (2004, 2006), the Faculty Dean’s Honours List (2004-2005) and the Kong Yu Kau Memorial Scholarship. Lee was elected as exchange student in her junior year, and she studied Musicology at Humboldt University, Berlin. Lee received koto training under Grand Master Imatake. Since then she has performed frequently at the Japanese Club Autumn Music Concert. She was invited to perform for the cocktail party of the Consulate-General of Japan in Hong Kong last year. Carolyn Parker first took up koto study in 2001 when she went to Japan for four months over summer. She returned each summer for the next two years studying under Grand Master Tomoko Ohara. While back in Hong Kong, she studied under Grand Master Imatake. Carolyn wanted to study more seriously so she moved to Tokyo in 2004 where she continued her studies under Grand Master Tomoko Ohara. In 2010 she completed her 5th level Koto Certificate and returned to Hong Kong. Carolyn has performed in various venues in both Tokyo and Hong Kong. Cheung Chi-ho, graduated from Hong Kong Chinese University, with a major in music. He has been receiving koto training since 2006 under Grand Master Imatake and has participated in various performances in Hong Kong. The Sung Eucharist this coming Sunday 16 Dec will be sung jointly by the Cathedral Choir and Gonville and Caius College Choir, Cambridge. Dr G Webber - Agnus dei and Alma redemptoris. Geoffrey Webber studied music at Oxford University where he was Organ Scholar at New College. After graduating with a First, he became Acting Organist at New College and Magdalen College, and later University Organist and Director of Music at the University Church. After completing his doctorate on German Baroque music he became Director of Music at Gonville & Caius College, Cambridge and now divides his time between conducting, lecturing, teaching and research. He has recently established the first degree in choral conducting at the University of Cambridge which attracts students from all over the world.